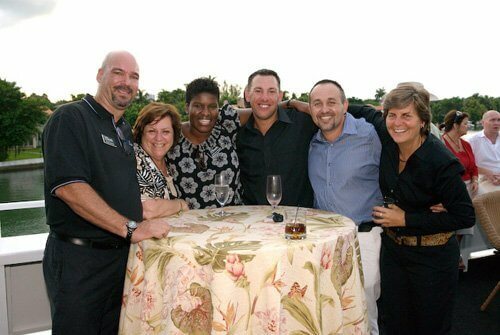 Discover the best outdoor party venues and locations in South Florida with Charter One. Have you been searching for outdoor party venues near me, but haven’t found anything of interest yet? Charter One luxury yacht charters offer affordable and fabulous outdoor party venues. If you love the outdoors and cruising the beautiful waterways of south Florida, then Charter One is for you. When it comes to finding great outdoor party locations, we have the best. You and your guests can enjoy panoramic vistas of Florida’s coast as you sip cocktails and delight in exquisite savory cuisine. We offer sunny skies, gentle breezes and gorgeous sunsets. Our luxury party venue includes getting our talented party planning team to assist you in planning and executing your great event. All you have to do is discuss what you want, select your resources, and we do all the rest. You will not have to lift a finger, or get stressed-out. How great is that? We work with outside vendors who can supply resources like: tableware, linens, decorations, photography, floral arrangements, band or DJ, custom cakes, gifts/favors and much more. Our outdoor party venues are easy for you and fun for all. Once your guest list is completed, you can select which of our splendid yachts will serve as your outdoor party venue. The superb 128-foot Grand Floridian yacht easily accommodates up to 550 guests, and has 4 decks, multiple dance areas, a custom full-service bar, elevator service, 13 HD TV’s, state of the art media capability, private staterooms below deck and much more. For an intimate outdoor party venue, with up to 60 guests, we recommend our elegant Summer Wind yacht. This beauty boasts 3 decks, modern amenities, a custom full-service bar, state of the art media capability, a swim platform, plush lounge areas both inside and out, and private staterooms below deck. Your search for outdoor party venues near me is over. With Charter One, you can discover world-class yachting with fine dining, excellent service and great ambiance. To begin making plans for a unique party experience, contact Charter One today at: 954-771-0102.